In The Borrowed World, Emily Leithauser’s formal mastery—her consummate knack for writing lines and sentences as crisp and elegant as the Edo prints to which she pays homage—entwines with the sheer immediacy and vulnerability of the poet’s voice. Leithauser portrays the inevitability of loss, in romantic and familial relationships, and yet, without ever offering false resolutions or pat conclusions, she manages to make her poems themselves convincing stays against loss. I mean that this book is made to endure. The Borrowed World marks the arrival of a major talent. 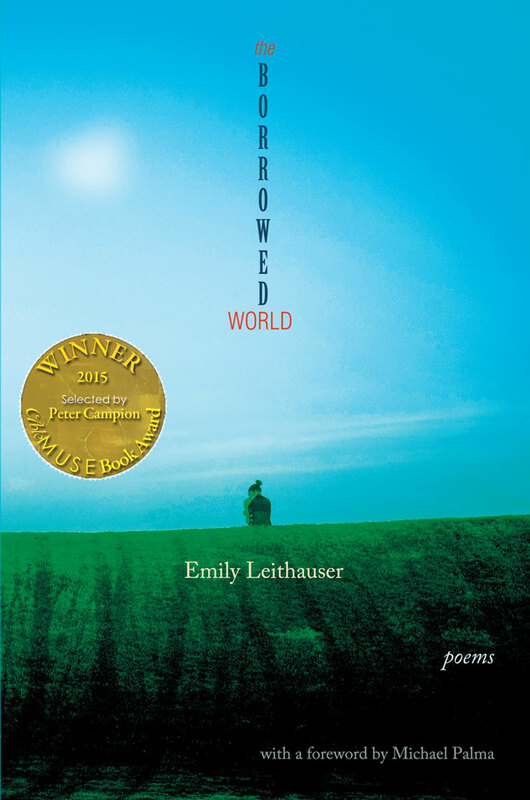 Emily Leithauser’s first collection, The Borrowed World, is an elegant meditation on inheritance, the vagaries of love and loss, familial relations—with all the devastating implosions within—and our relationship to the past filtered through the flawed lens of memory. These are deeply felt poems and Leithauser has a finely-tuned ear for the lyricism of syntax and the enduring rhythms of traditional forms. The Borrowed World is her stunning debut. 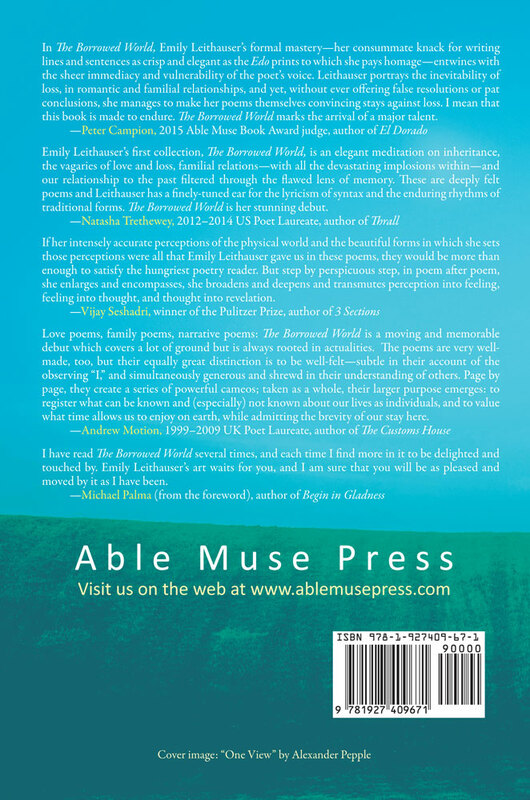 Love poems, family poems, narrative poems: The Borrowed World is a moving and memorable debut which covers a lot of ground but is always rooted in actualities. The poems are very well-made, too, but their equally great distinction is to be well-felt—subtle in their account of the observing “I,” and simultaneously generous and shrewd in their understanding of others. Page by page, they create a series of powerful cameos; taken as a whole, their larger purpose emerges: to register what can be known and (especially) not known about our lives as individuals, and to value what time allows us to enjoy on earth, while admitting the brevity of our stay here. I have read The Borrowed World several times, and each time I find more in it to be delighted and touched by. Emily Leithauser’s art waits for you, and I am sure that you will be as pleased and moved by it as I have been.